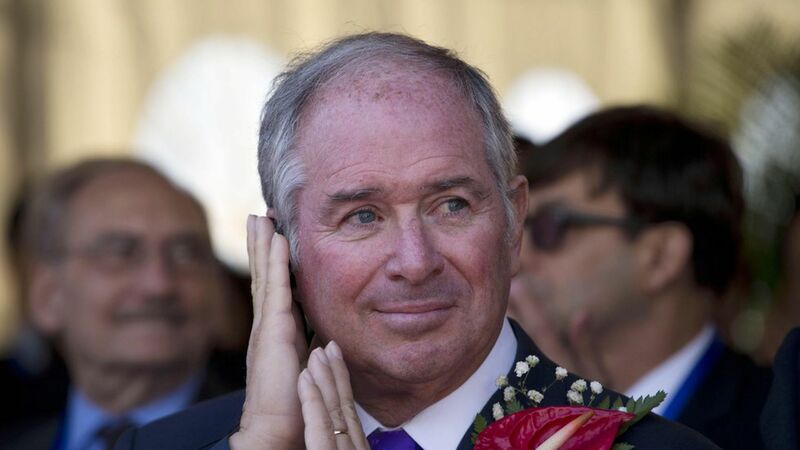 Steve Schwarzman sat down for a deep Q&A with Bloomberg's Jason Kelly, which touches on politics, private equity, Blackstone's history and his love for Law & Order. On Trump: "Every president has some type of ideology, and the current president is basically a capitalist who believes in efficiency... So whenever he sees something that is inconsistent with efficiency, he'll abandon what he said before in order to get to execution. The previous government was different. They had a very strong ideology." Finance philosophy #1: "There are no brave old people in finance. Because if you're brave, you mostly get destroyed in your 30s and 40s. If you make it to your 50s and 60s and you're still prospering, you have a very good sense of how to avoid problems and when to be conservative or aggressive with your investments." Finance philosophy #2: "There are no patents in finance. Everything has a decay curve, in terms of its margins."